SAM CONSULTECH is an establishment formed in the year 1994, to provide technically and judicially perfect consultation & manufacturing services to various Industrial organizations in the field of Environmental Pollution Control on turnkey basis. The company since establishment has emerged as a formidable force in the Environmental field. Inspired by its success the company is gearing it self to meet the challenges of advance technology. The company has well-coordinated skilled task force from various fields like Environmental, Analytical, Mechanical and Civil Engineers who shape the best practicable systems for customised requirement and monitor the precision and quality while under manufacturing at its well established manufacturing set up at plot No. F-20, in Ambad MIDC, Nashik-422010. The outstanding professional with the scientific vision for environmental protection and tremendous experience in handling small to large projects on turnkey basis, who have engineered cost effective solutions for various pollution problems and have developed innovative technologies to turn high pollution potential wastage into valuable resources, are the people behind the exponential growth of SAM CONSULTECH. 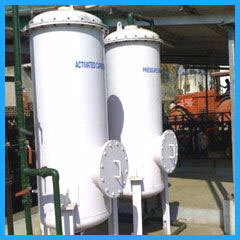 The company has provided number of treatment systems what so ever the requirement of the customer & has succeeded in developing specific technology for tackling unknow waste in given priority of our thrust to further improve the proven technology. To be a global company in providing Environment Pollution Control, Water Management & Waste Management solutions by practicing latest & cost effective technologies on Turnkey basis. With help from Act we can always be there for your needs today or two years from today. The man has in recent Times explored & taken the process field to all time new heights with modern techniques of Manufacturing as compared to last 2-3 years. In return he has created a grate damage to the Environment in form of various Pollutants in the atmosphere that has a adverse impact on the Surrounding Environment in form of climatic changes, Global warming, Acid rains, increasing Sea water level etc. These impacts need to be monitored & measured for its occurrence & abatement measures are to be studies & implemented. However adopting environment friendly process techniques is the need of the hour. The company has well equipped task force with highly skilled staff from Environmental Analytical field of technology, with varied experience in analysis of Waste, Waste Water, Air pollutants, Hazardous waste & allied process parameters etc. Highly qualified Staff includes M. Sc. & B. Sc. in Analytical Chemistry for carrying out the above analysis. AAPL is equipped with all the latest thoroughly calibrated analytical instruments for the analysis of various effluent. Air & Hazardous pollutants etc. To be a prominent laboratory in field of Environmental monitoring and analysis by providing all industrial and commercial establishment with technically upgraded. cost effective and timely Services.